Europe1 is reporting that French President Emmanuel Macron has announced that “for the moment” US head of state Donald J. Trump is not invited to the international conference on the climate to be held in Paris in the wake of COP23 in Berlin on 17 November. The summit in Paris to be held on December 12 is being organized by France for the two years of the Paris Accord on the Climate. It will bring together 2,000 participants, with 100 countries being invited and 800 organizations. It will be held on the isle of Seguin in the outskirts of Paris, as Macron had announced during the G20 this summer, in order to redouble efforts on this commitment after the decision of the United States of America to withdraw from the Paris Accord. In the wake of that decision, Trump was not invited. A low-level US delegation, however, will represent the US, just not the president. Macron’s office said on Tuesday, “For the moment, president Donald Trump is not invited,” since the invited heads of state are those engaged in implementing the accord. 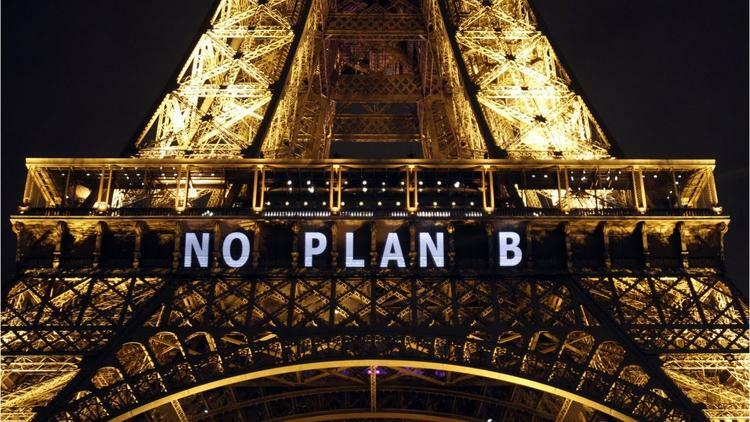 Questioned on the practical use of such a supplementary climate summit, given the unlikelihood that anything will be accomplished in a single day, Macron’s office said that holding it “is necessary and important” in order to shore up international mobilization. The statement said, “This will not, however, be a ‘pledging conference’ (a conference where official goals would be committed to, with numbers). The aim is to put together coalitions at the summit that will yield concrete results, notably creating dynamics among cities, investment funds and development banks. “The idea is to demonstrate that there is action, that it is necessary to accelerate it and to find new sources for financing very concrete projects. Paris sees it as complementary to last years’ summit and an opportunity to take stock of the trajectory so far. Trump had announced on June 1 that the US will exit the climate agreement, signed in Paris in 2015. Since the terms of the original agreement state that a country must wait three years after signing to withdraw, the US can’t actually get out of it until 2020. After Syria signed on Monday, the 197th country to join the treaty, the US was left the sole country in the world outside the accord. The other holdout, Nicaragua, had kept aloof because it said that the accord isn’t actually aimed at reducing carbon dioxide emissions. That is, Nicaragua wasn’t signing because the treaty did not go far enough. In October, however, Nicaragua ceased its object and signed. Juan Cole is the founder and chief editor of Informed Comment and Richard P. Mitchell Professor of History at the University of Michigan. He is author of, among many other books, Muhammad: Prophet of Peace amid the Clash of Empires. Follow him at @jricole.